This is a Kickstarter offering to let you can get your hands on an unassembled kit for $200. That version comes with a universal camera mount but no camera. 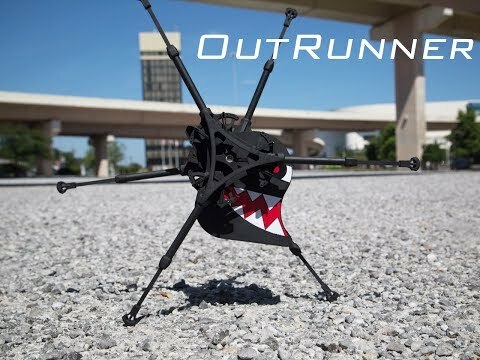 This may not sound like a problem, but look closer and you may notice what we have: The thing is remote-controlled and can run up to 20 MPH, but there’s not footage of it running slowly. We’d wager the need to keep itself balanced equates to the need to run rather than walk. Since it’s going to get away from you very quickly you probably need a camera and a wearable display (or a chase car like in the video) to make the most out of the OutRunner. But hey, who’s complaining about that? Sounds like a ton of fun to us! Why is it that this thing looks delightful but all of the Boston Dynamics running bots scare the crap out of us?